If you’ve followed along with Life Over C’s at all, you know that I have a love for printables! All my kids, ages 4 to 12, love using printables to help learn different topics. Having a good theme for printables is also something I have a thing for. 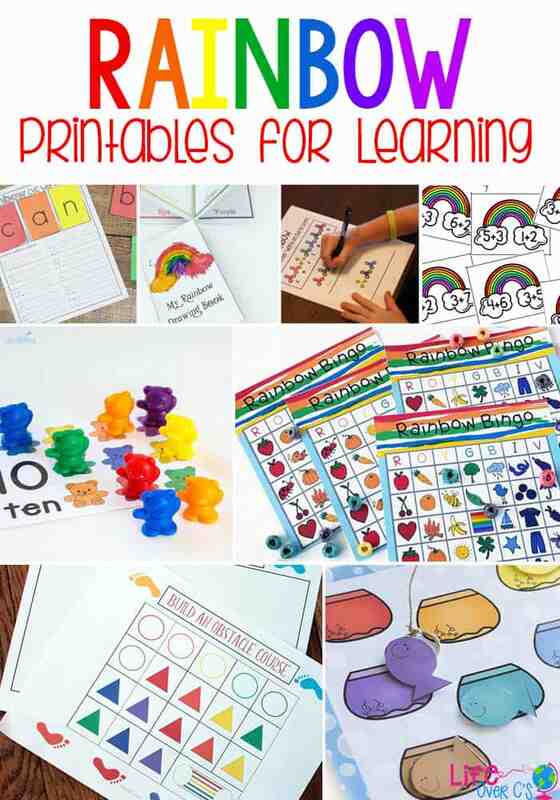 This week I found 20+ Rainbow printables for learning that I’m excited to share with you! Rainbows are fascinating for kids, and lets be real for adults too, why not use the fascination to help teach our kids? The most recent rainbow themed printable set that I made was this Free Color Matching Fishbowl Printable For Preschoolers. How fun is this? One option is to start with the fish cut outs in a sensory bin. Have the child pull the fish out of the sensory bin and match it to the fishbowl on the printable. Kids will love it! We also have this fun Free Printable Rainbow Bear Counting Cards. If your kids love rainbow bears and are learning number recognition or learning how to count to 10, this set is perfect for you! It can also be adapted to help children with simple math. This Printable Rainbow Booklet is great for children of any age to help learn or practice color recognition. This can also be used for older children to practice coloring & drawing skills as well as staying inside the lines. Two piece puzzles are excellent for little ones. 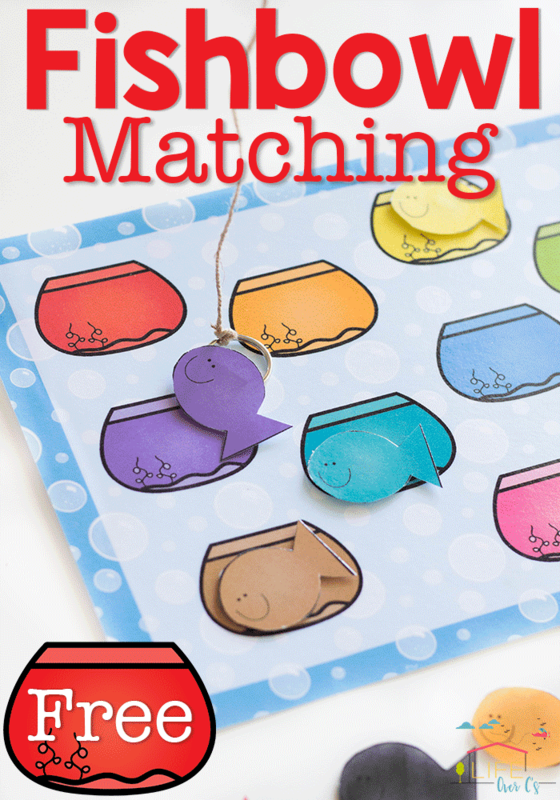 Rainbow Matching Number and Finger Cards are a perfect activity for little ones who need 2 piece puzzles and help practicing number recognition compared to finger number symbols. Do your kids love obstacle courses? I know mine do. I usually plan the course in my head and set it up for them, but this Backyard Obstacle Course Planning Printable will allow and assist kids in planning the obstacle course on their own. Dominoes is a classic game that all ages love. This rainbow printable version helps kids with simple math and includes number bonds from 1-10. The combination of rainbows and a fun game is bound to help kids, even ones who despise math, learn to add. Kids often feel so proud when they are able to read CVC words, it’s a monumental step! 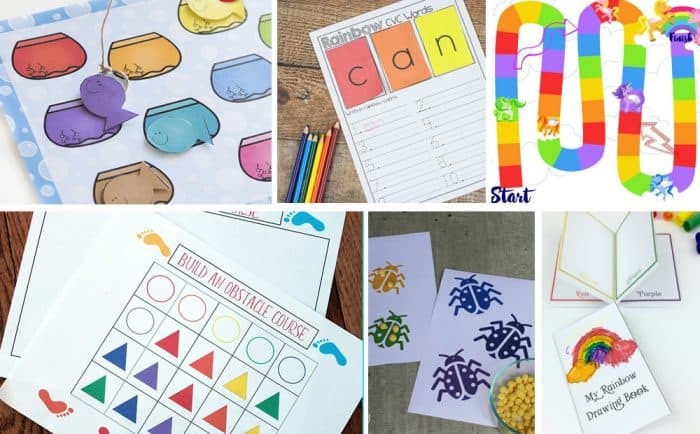 Rainbow CVC Words printable is a fantastic and easy way to help kids learn to say, spell and write CVC words. Rainbows and unicorns are both fascinating to children and this printable board game incorporates both of them. Board games can help children learn important tasks such as taking turns and having patience. Have your kids become fascinated with fidget spinners? Many children have. One secret to teaching children is to encourage them to learn topics through their interests. Use the Rainbow Fidget Spinner Word Decoding Sheets to encourage children to practice letters and word formation. Color and number recognition will be practiced with this fun Printable Rainbow Booklet. With multiple activities, each using different supplies, little ones will be excited to learn and have fun! The Rainbow Treasure Hunt printable makes keeping your kids busy a simple task. This can be done in the car, on a walk, at home, or literally anywhere. Kids just look around, find an object of a certain color and write it on the list, or ask you to write it on the list. Grab a dice and some coloring utensils and your child will be in rainbow heaven in moments. If your child likes to draw, this Roll A Rainbow activity is perfect for them. It will also help with number and color recognition! Letter recognition is super important, as we all know. This Rainbow Q-Tip Painting Printable Pack will combine that important skill with a new, fun way of painting! 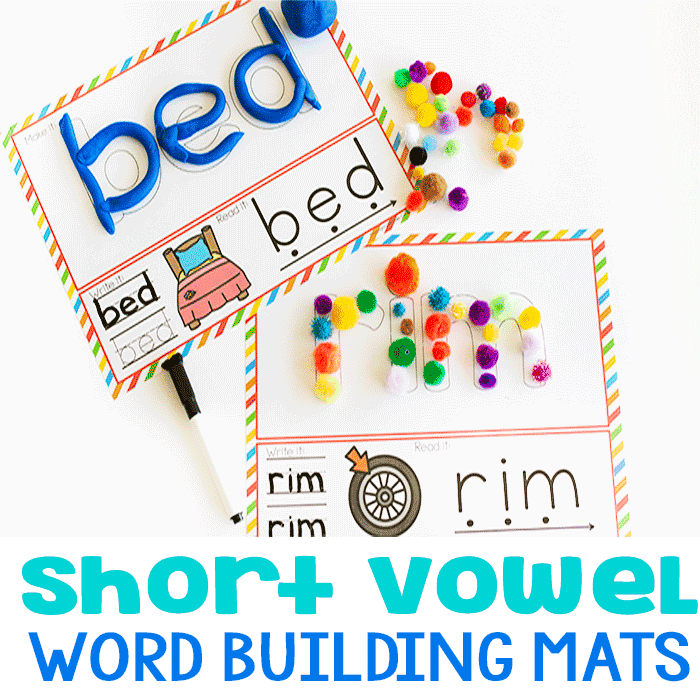 Another fun printable game that incorporates letter sounds and rainbow fun. 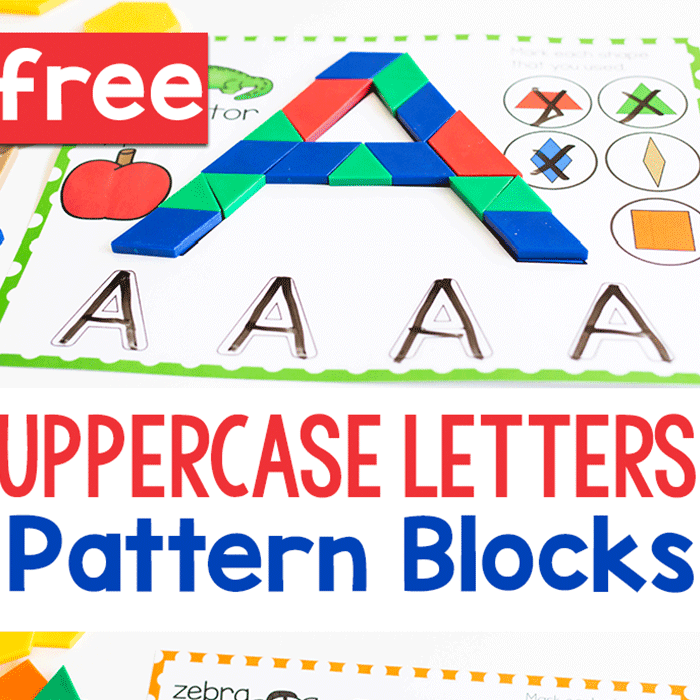 Kids will enjoy playing this game and practicing letter recognition, letter sounds and number recognition in a colorful way. Fine motor skills can be practiced in this rainbow pom pom activity. Besides fine motor skills, kids can practice colors and the order of the colors of the rainbow. 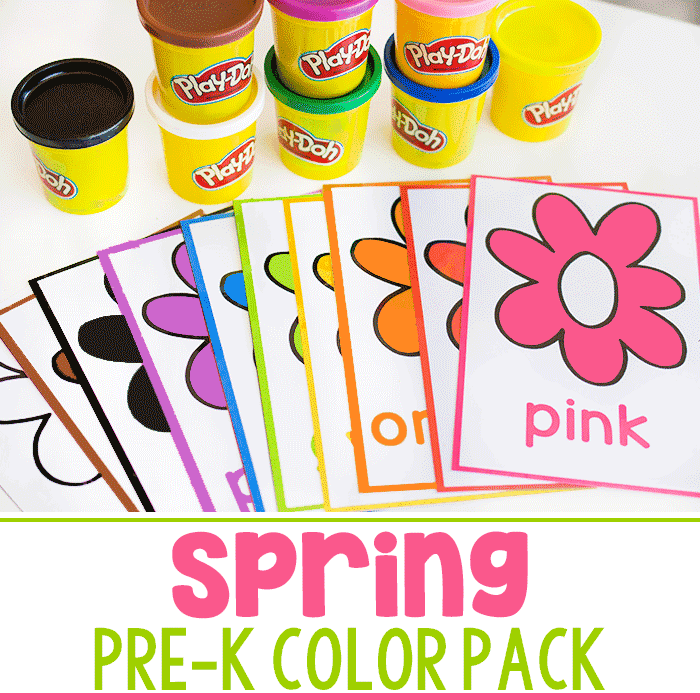 Your kindergartner, or maybe even preschooler, will love this colorful writing activity. Follow the instructions based on the number rolled from the dice and your kids will be writing words in no time! For a fun yet simple color by number activity, try this Rainbow Color By Number. This is an excellent activity for in the car or for an individual activity. Fine motor activities are necessary for children but also seem to keep them entertained for a good amount of time. Beading is an excellent fine motor activity. The Rainbow Bead Threading Cards help children learn the idea of patterns as well as fantastic color recognition. BINGO! Don’t you just love a good game of Bingo? The Rainbow Bingo version is excellent for helping children practice color recognition as well as assigning colors to objects in the world. Just like the other 2 piece puzzle above, kids will love this. For your kids who are learning shapes, the Rainbow Shapes and Colors Matching Puzzles will be an excellent, fun and engaging activity. Simple addition can be exciting for kids when they first learn it. The Rainbow To 10 printable will help them learn simple math with a super fun theme and activity attached. 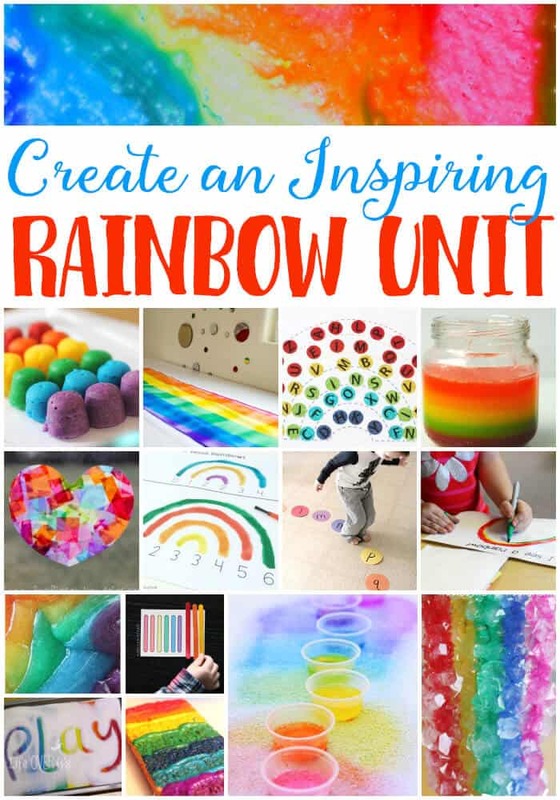 Want MORE Amazing Rainbow Learning??!? Check out these awesome activities!